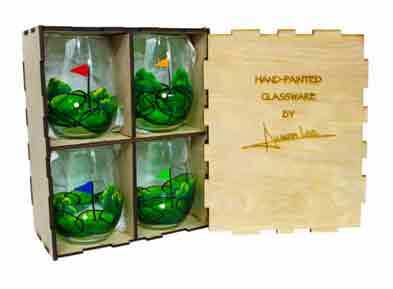 American-made and hand-crafted in an art studio, durable glassware from Amanda Lee Glassware is a unique gift for avid golfers. Designs can be mixed and matched or come in sets complete with hand-made boxes. Each glass starts at $18.00 and ships to all 50 states. Hand-made box sets range from $55 - $90. The company also hand paints terrific holiday designs, butterfly designs, floral art and birds. Ukraine’s Khortytsa (Hor-Ti-Tsa) Vodka, although new to the US market, is well-known globally. It was named among the world’s best distilleries at the 2014 New York International Spirits Competition. Only 19 of the world’s leading distilleries were recognized with this honor. The Khortytsa Distillery is located in the Ukrainian city of Zaporozhe near Khortytsa Island, a sacred place in Ukraine - considered to be the cradle and heart of Ukrainian national pride - and is one of the country’s seven wonders. Fro the purest water possible, the distillery uses a filter process containing schungite (a unique natural mineral), and is further enhanced with special birch and alder-tree charcoal and quartz sand sourced near the Ural Mountains. 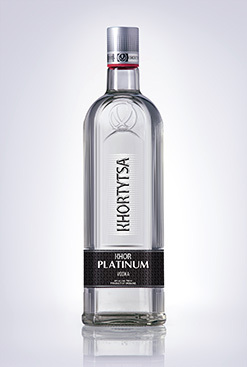 Currently, there are four items within the Khortytsa line imported to the United States: Khortytsa Platinum, which is the most popular ($14.99 per 750mL. ); Khortytsa Ice, specially formulated to be frozen with the bottle turning blue when chilled ($15.99 per 750 mL. ); Khortytsa Honey Pepper, which adds a spicy zing to a variety of cocktails ($15.99 per 750mL. ), and Khortytsa De Luxe a “super premium” vodka for connoisseurs, ($29.99 per 750 mL.). 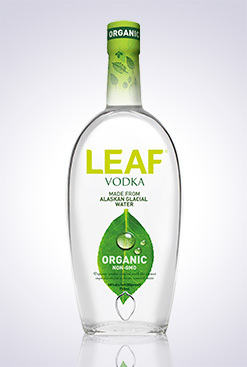 LEAF Vodka is sourced from two unique American waters. These water sources give LEAF vodkas their signature tastes. LEAF Vodka made from Alaskan glacial water has a pure, smooth taste with a hint of sweetness, while LEAF vodka made from Rocky Mountain mineral water offers richness and complexity, lending a warm and savory impression on the palate. Both expressions are distilled five times, are made with USDA Certified Orgainic non-GMO wheat, and are unflavored. The difference is in the water, which constructs two distinct tastes for different taste profiles. To date, LEAF has won over 20 awards since 2014 including multiple Double Gold and Best in Show awards from a variety of organizations including the San Francisco World Spirits Competition, the San Diego Spirits Festival, TheFiftyBest.com, the SIP International Consumer Tasting Awards, and the Ultimate Spirits Challenge among others. Anyone keeping abreast of celebrity news knows that tequila is a hot market. Just last June, actor George Clooney sold his tequila company for around $1 billion. A few years back, rock musician Sammy Hagar sold his stake in a tequila company for over $80 million. Entrepreneurs Frederico Vaughan and Ron Snyder got the bug—or is it worm?—to start a tequila brand while they played a round of golf together at Cabo San Lucas in Mexico. Vaughan’s favorite local distillery was located in Amatitan where a family had been producing tequila for five generations. “The secret of Codigo 1530 tequilas begins with the best blue agave in Mexico, the purest water in all of Mexico and yeast from a local bakery,” said Vaughan during an August visit to Chicago. “We then age the tequila in French Oak wine barrels out of Napa Valley.” The varieties of tequila that come from this process differ based upon the resting time and the charring of the barrels. Blanco is an unrested tequila that’s clear and pure. Rosa has a pink tint from the aging in the wine barrels and is a delicious sipping tequila. Reposado is aged for six months and serves up a smooth, vanilla and caramel flavor to pair well with food. Chicago area retailers who sell Codigo 1530 include: Binny’s, HR Liquors, Town & Country Liquors, El Patron Liquors, JD Liquors and Pete’s Liquor Store. 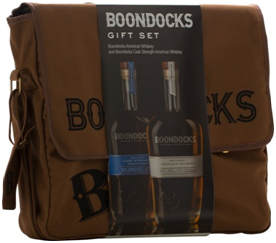 ‘Tis the season to tote a special bottle of wine to those kind enough to host us to a holiday party. This year’s top picks from Royal Wine come in a wide range of prices, but all are special enough to impress. Let these suggestions take the guesswork out of gift-giving. And some might just entice you to treat yourself to some holiday cheer as well. 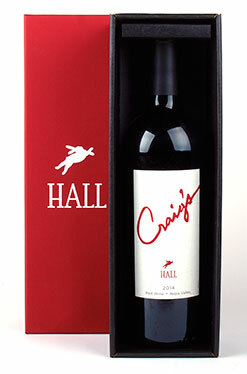 Craig Hall, with his wife Kathryn, is the founder of Hall Wines, and this wine is one of his pet projects. It is a blend of 65% Cabernet Sauvignon and 35% Merlot from a number of Hall's growers throughout Napa Valley. It was aged in 60% new French oak for 22 months. 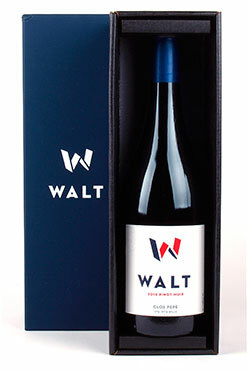 Walt's Clos Pepe vineyard is in the Sta. Rita Hills AVA in Santa Barbara County. Winds from the Pacific deliver a temperate maritime climate, allowing for grapes to develop through a long, mild growing season. The sandy soils, born of ancient sea beds, obligate the vines to produce low-yield, high-quality fruit. If you need a gift for the wine lover on your list who has (almost) everything, this is the cult wine you're looking for. With just 1811 cases produced, and at the upper end of Napa prices, this is a rare find. The flagship wine from Viader, Liquid Cashmere put this unique mountainside winery on the map as one of the first in Napa to tackle and successfully showcase Cabernet Franc as a deserving companion with Cabernet Sauvignon. As any resident of San Francisco will tell you, "Don't call it Frisco!" But we're talking spirits here, not the city, so I think we're OK. Plus, keep reading and a pun will become obvious. After five years in the making and international growth, Flaviar is now launching a membership-only community for spirits enthusiasts, dedicated to providing education, discovery, and unparalleled access to the world of spirits. Flaviar seeks to aid every member in developing their own tastes as they curate a home bar that is more eclectic, more exotic, and, more personal than the world’s best speakeasy. Exclusive offers, such as live experiences and curated regional tasting events hosted by Flaviar, distillers, and brand ambassadors alike, in select markets across the country. Through trial and discovery, members can learn more about their favorite products from a database of currently 22,206 products, build up their virtual (and physical) home bar, and share thoughts and feedback, helping spirits novices and experts alike find their favorite spirits – from global names to small, regional craft producers. Annual fee of $210. 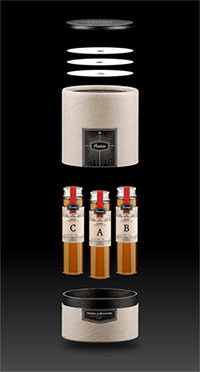 For more information and to sign up, visit www.flaviar.com. Laphroaig (La-'froyg) literally means "the beautiful hollow by the broad bay." 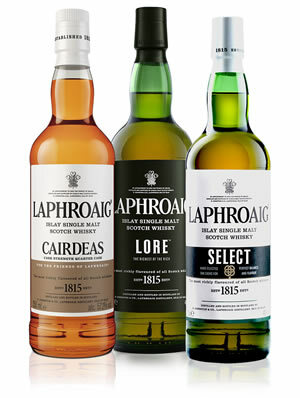 The secret to Laphroaig is that it benefits from the happy circumstances of where it is produced—next to ocean water and on land that gives Laphroaig a unique peaty taste. It is one of only a few distilleries that still uses traditional malting floors, and dries and infuses its own malt with the thick smoke from old peat-fired kilns. Premium gin producer Boodles has brought back last year’s hit holiday flavor. 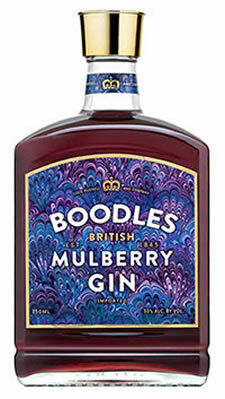 The delicate taste of mulberries is complemented by the classic Boodles British Gin botanicals of rosemary, nutmeg and sage to create Boodles Mulberry Gin. Along with its amazing flavor, the gin’s dark red color will make this gift a conversation piece at the dinner table. Boodles Gin is sold in Chicago at Garfield’s Liquor Stores across Chicagoland as well as other retail establishments. Small batch whiskey, we have been told, is a welcome trend. The Mead family first came to Wyoming in 1890 as ranchers. While subsequent generations have endeavored in law, politics, and extreme skiing, Sam Mead is leading the fifth generation toward renown as a premier whiskey producer. 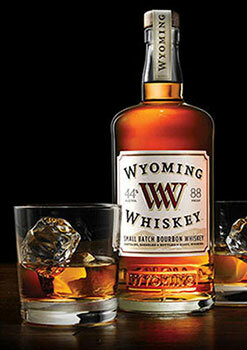 Wyoming Whiskey products include four varieties. Small Batch Bourbon Whiskey is a traditional bourbon whiskey that is dark amber in color and smooth to the taste buds. Flavors that can be detected include brown baking spices, vanilla crème, caramel, and cinnamon. 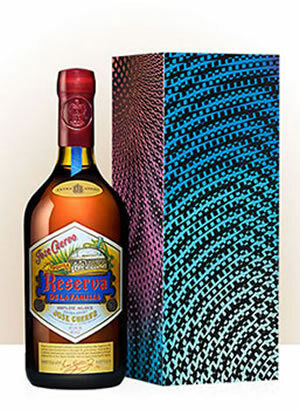 Reserva de la Familia is the world’s first extra-añejo tequila. It is hand selected from the Cuervo® family’s private collection. Each bottle is made using only blue agave harvested at its peak maturity after seven to twelve years of growing in the field, and aged in French and American oak barrels for a minimum of three years. Not for shots or margueritas, Reserva de la Familia is best served in a snifter, allowing for full appreciation of its flavors, aroma, and velvety finish. At about $130 per 750ml bottle, this is a rare treat for most of us, but worth it if you can swing it.